After our challenging accidental hike into Slovakia on Wednesday, we wanted something a little more manageable for our hike yesterday. 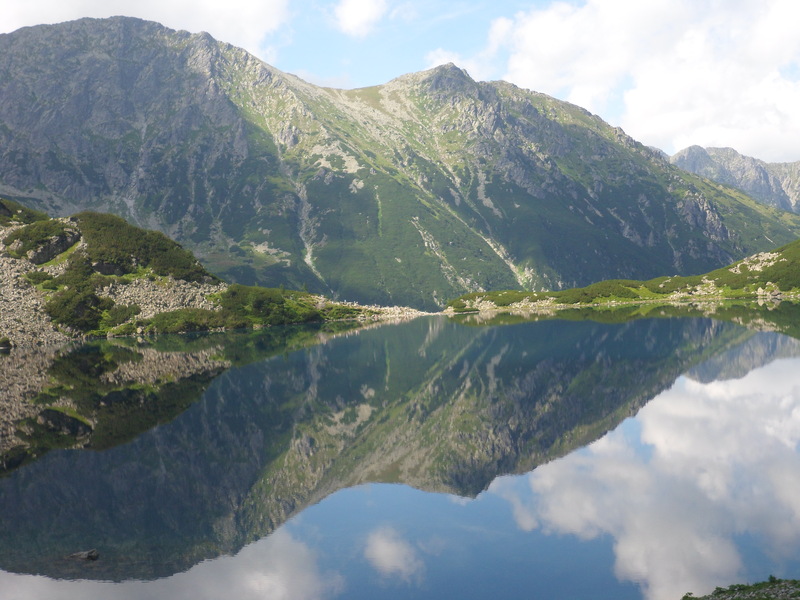 We took a 30 minute bus ride to a big parking lot on the edge of Tatra National Park, from which you walk about five-and-a-half miles to Morskie Oko, which I assume translates to Morskie Lake (or perhaps Lake Oko, but either way you get the point). It was a steady uphill climb, but it was just a road you were walking on, so nothing too challenging. What we found intriguing was that there was this major tourist attraction – there must have been thousands of people there on a Thursday – that you had to walk 11 miles round-trip to see. 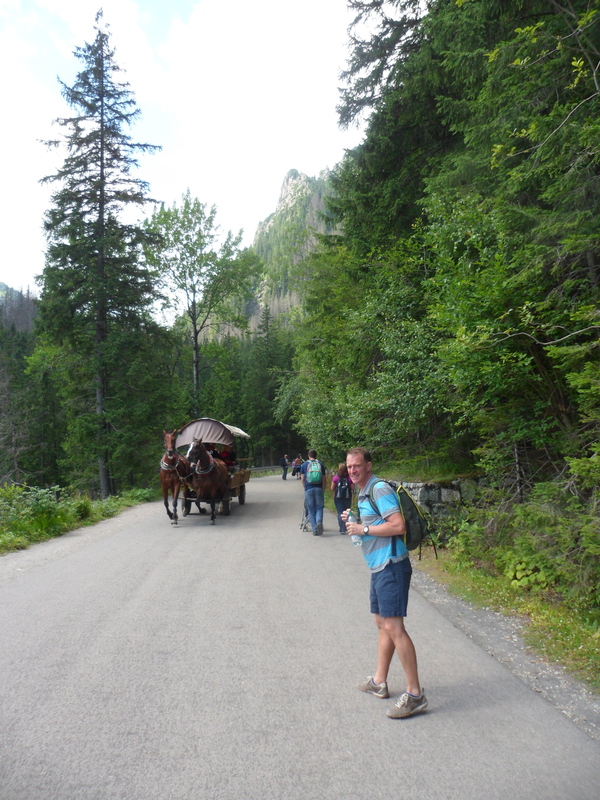 To be sure, there was an option to pay for a horse-drawn carriage most of the way, leaving only maybe the last mile-and-a-half or so on foot. Overwhelmingly, though, people walked the whole thing and everyone walked the final part. 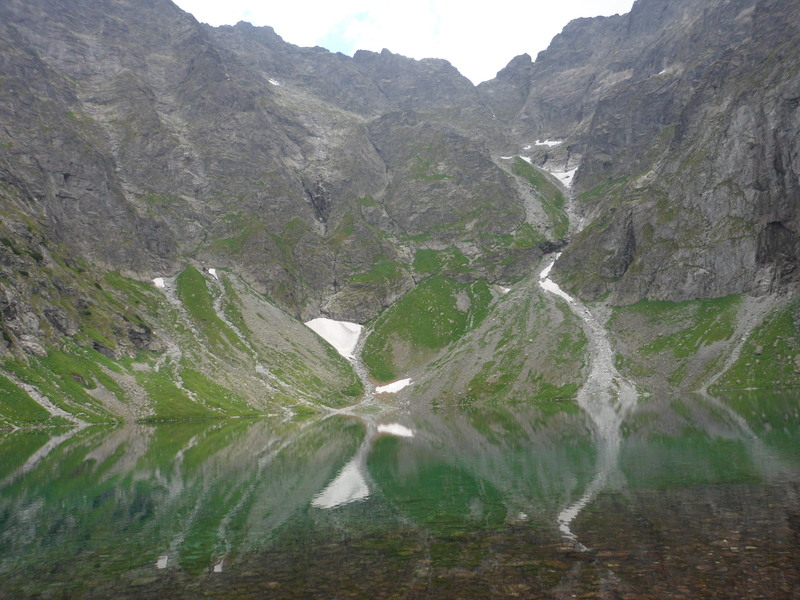 Old, young, parents pushing strollers, all sizes and shapes – people walked the 11 miles to and from Morskie Oko. It just seems to me that in the U.S. there would be a ton of pressure to have buses schlepping people up and down the hill so families could manage it. In Poland, though, families did it on foot. Michelle Obama would approve! 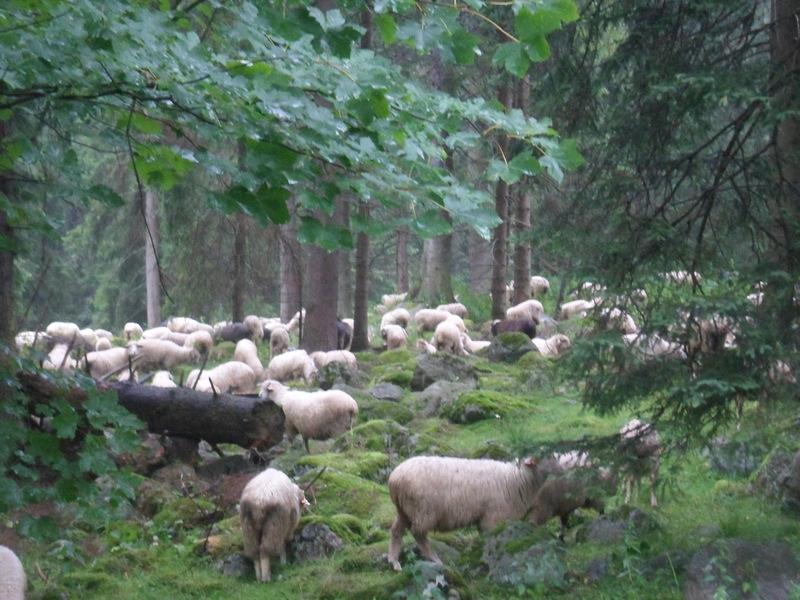 Meanwhile, the walk itself was beautiful; nothing more or less than a beautiful walk in the mountains. 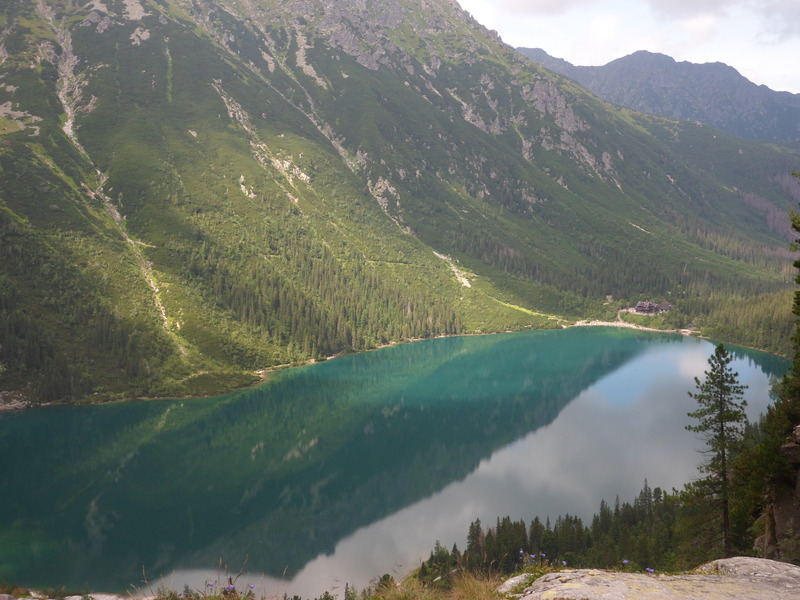 Once we got up to Morskie Oko, we could see why it was such an attraction. 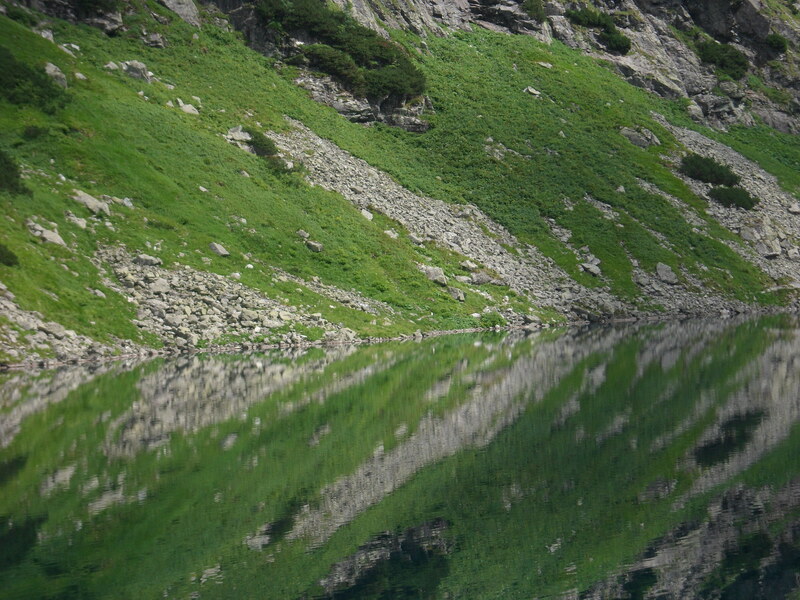 Its clear waters reflect the steep mountains that surround it; even on a cloudy day it was stunning, though allegedly it’s even more beautiful on a sunny day. There were a ton of people at the concession area where you arrive, but we discovered that there’s a trail around the lake, so off we took. There you could find little isolated spots to sit, read, eat a little, relax. 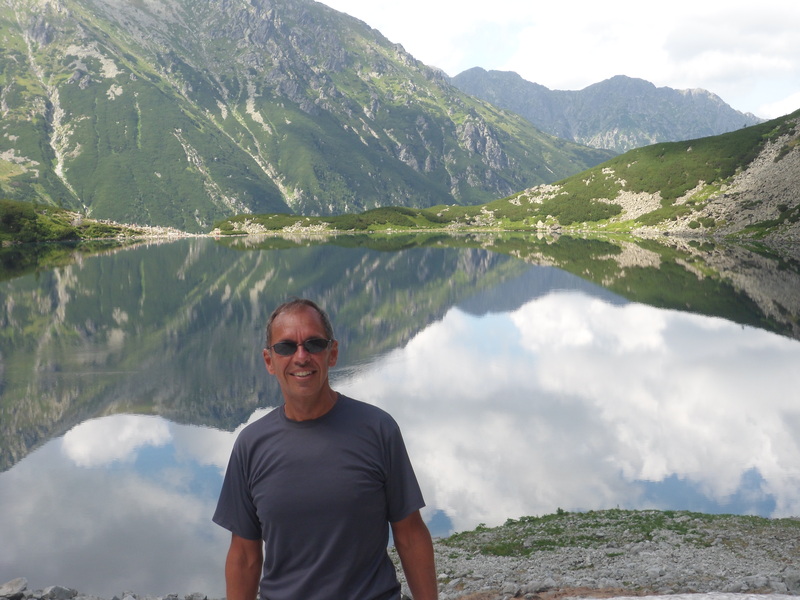 As we continued around the lake – listed as an hour-long hike – we discovered another trail heading up, almost straight up, to what we thought must have been another lake, feeding Morskie Oko. 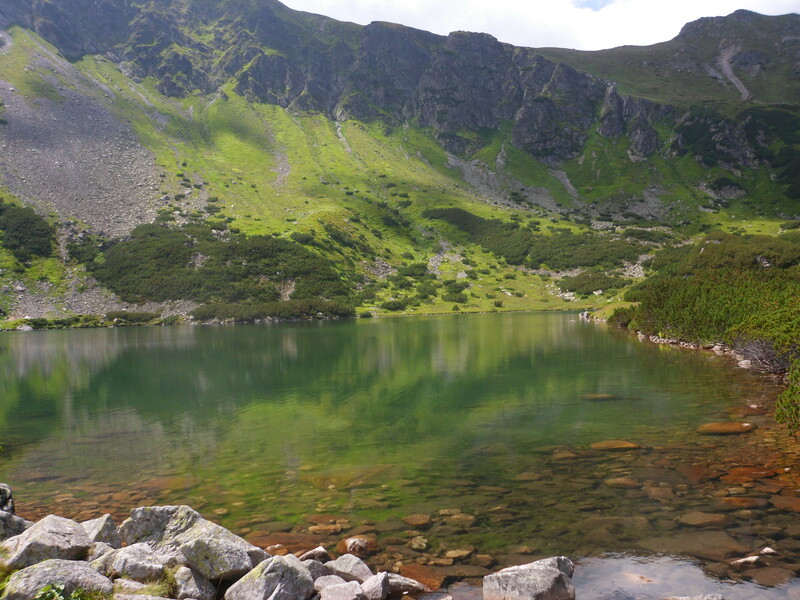 Up I went for an intense 20 minute climb to discover Czarny Staw, another beautiful lake in its own right, with stunning views of Morskie Oko. 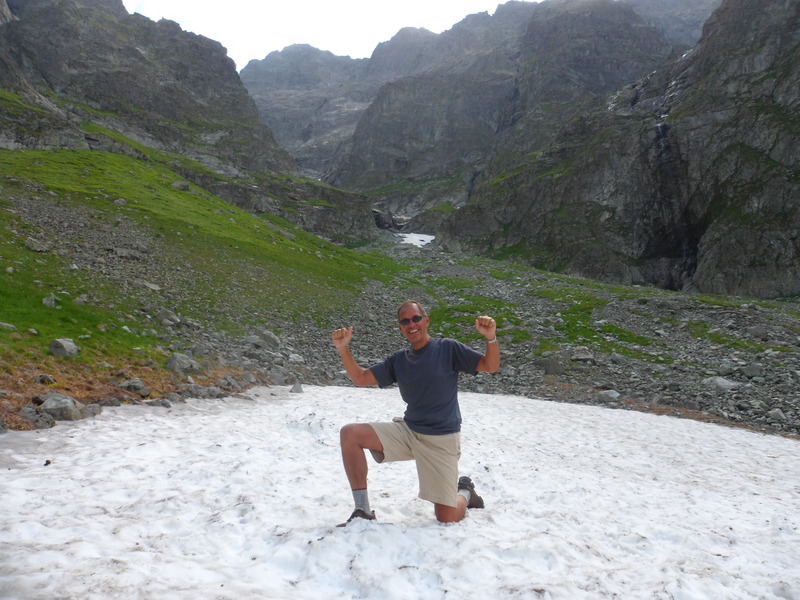 And, if you hiked around that lake, you could get to patches of snow so there I was, on August 1, playing in the snow. Maybe not heaven, but close enough for my purposes. So today we leave Poland, though at 6:00 AM we’re not really sure where we’re going yet. We know we’re taking a reasonably quick bus into Poprad, Slovakia. 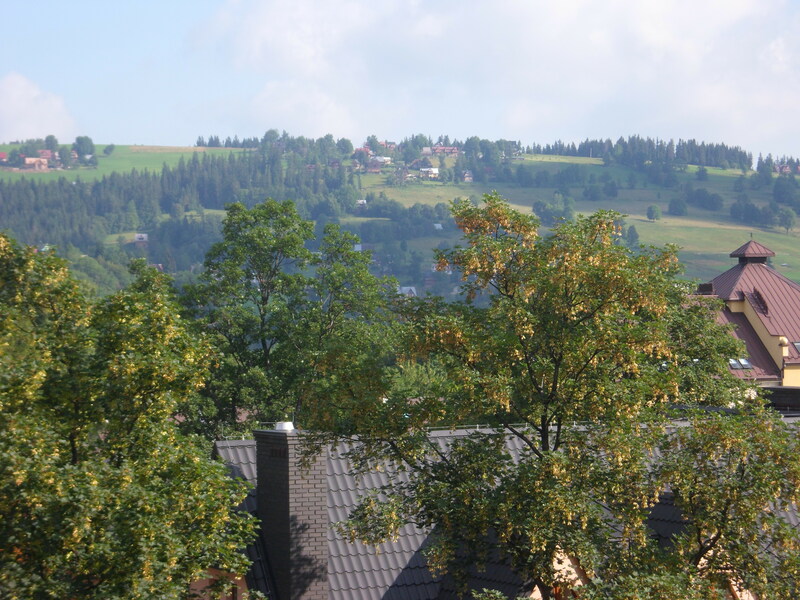 From there we’re either going to catch another bus to Levoca, which is supposed to have great 13th century architecture preserved, or we may just get on a train and go straight to the capital, Bratislava. We’re being flexible these days. 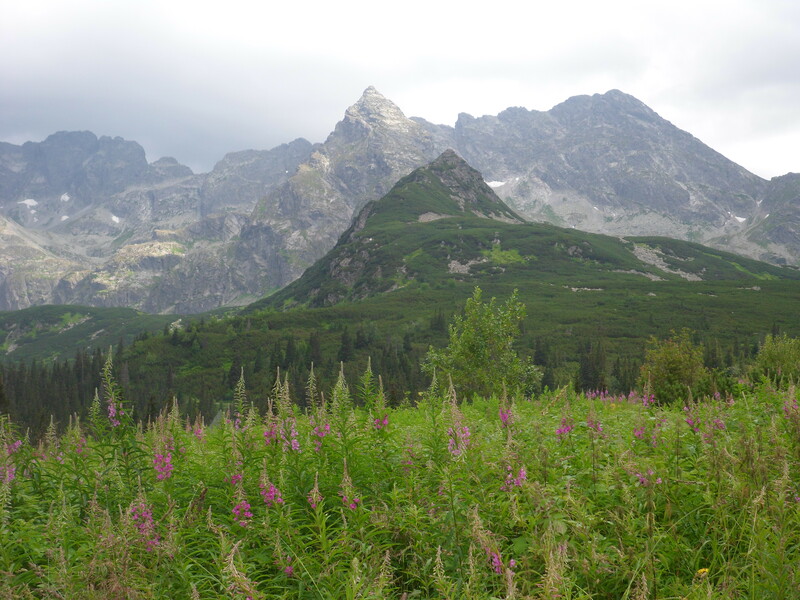 We hiked to Slovakia yesterday. We didn’t expect to, when we left the hotel just after 9:00 AM. We stopped at a store to buy some food and water for the trail and off we went. 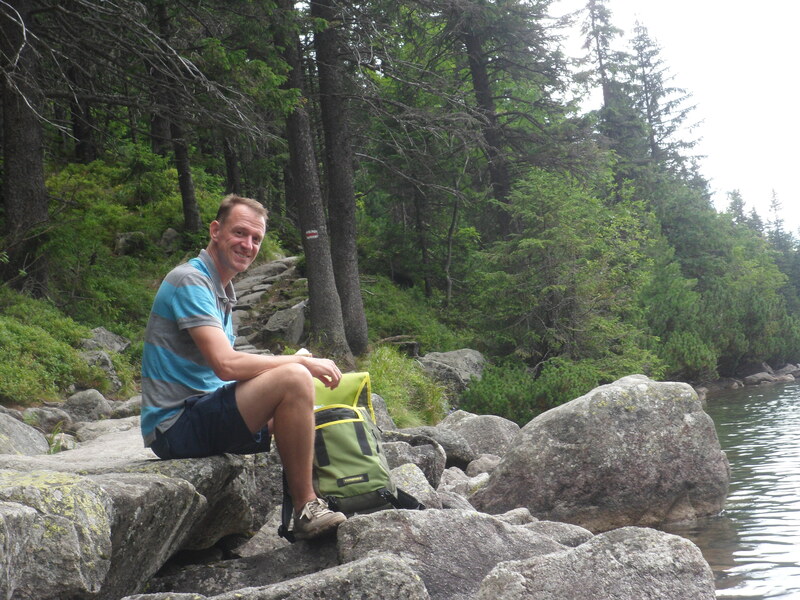 It was about an hour’s walk, gradually uphill, to the entrance to Tatra National Park where there are well-marked trails. We made our choice, and off we went. Up. Up some more. Further up. Hours of up. The most surprising thing for me at least was the number of people. 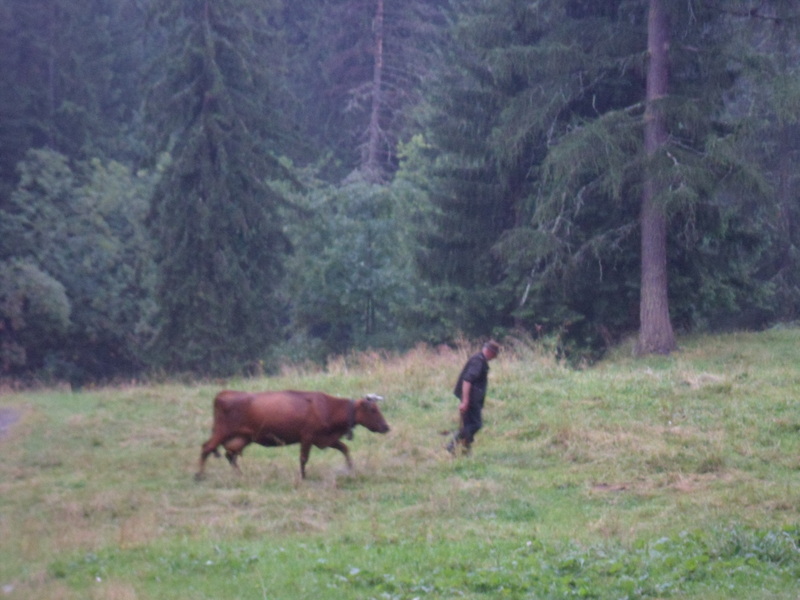 You would think, wouldn’t you, that hiking in the Polish Carpathian Mountains you could find a little isolation? There were just a lot of people on the trail, and it wasn’t an easy climb. We realized at some point that part of the issue was that there were a lot of people coming down – they’d ridden up in a ski lift and were hiking down. Cheaters. Finally we got to our high point at about 1:00 or so, having hiked four hours nearly non-stop. Mark pulled out my iPad Mini just to see where Google Maps said we were and saw we were maybe just barely across the Slovakian border. 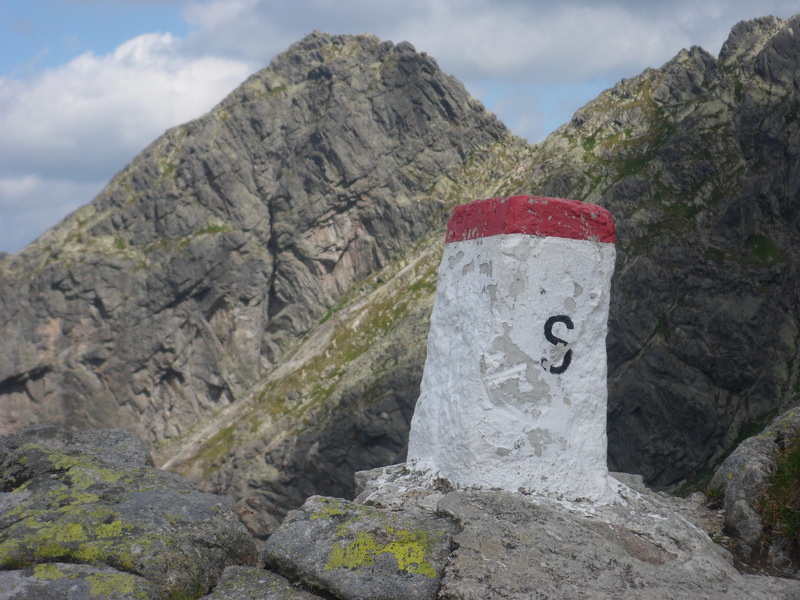 As we rested and ate a little, we then noticed a square white post with a big S on the side that would be Slovakia, and sure enough there was a big P on the Polish side. Yup, we were having lunch right smack on the border. 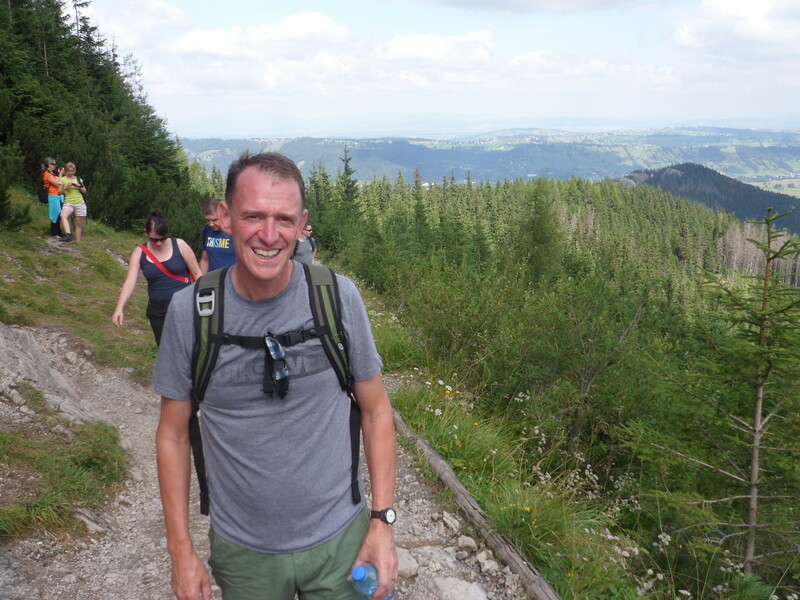 The trail then ran along the border for another hour – 10 meters into Slovakia here, back in Poland there – before we headed back down for another two hours back into Poland. Today we’re feeling a little beat, so not entirely sure what’s in order. Surprised, though, that we made it into Slovakia a little earlier than planned. 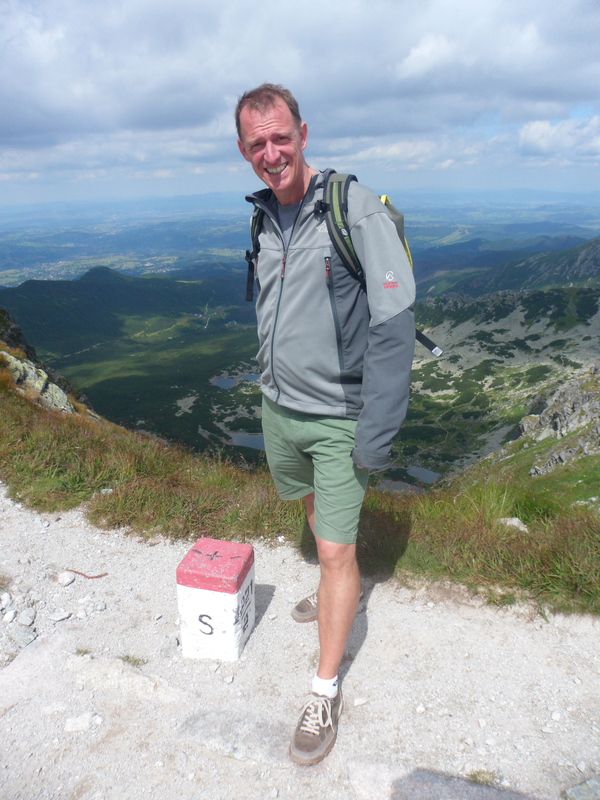 One foot in Slovakia, one in Poland. See the village in the valley below? We hiked from down there. Coming down is always harder – more work – than you expect. It was still beautiful, though. 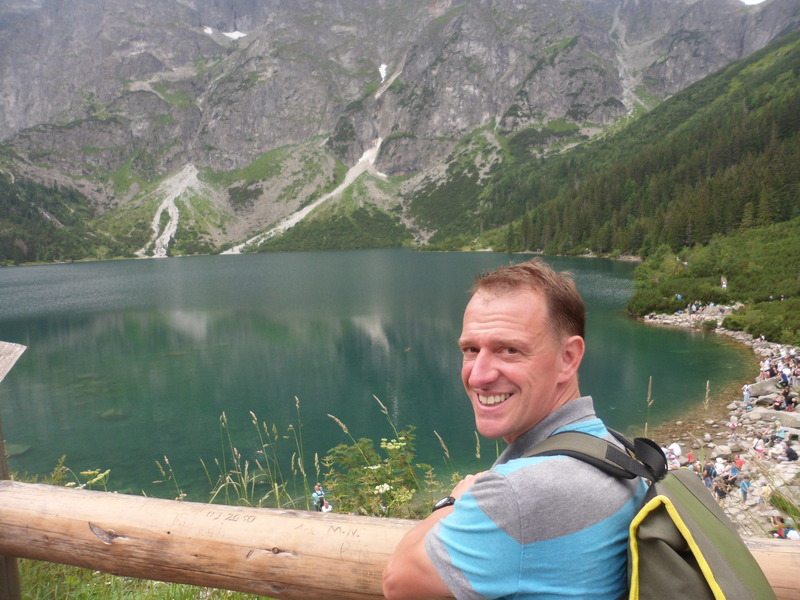 We took a bus today from Krakow to Zakopane, the heart of Polish ski country in the very southern tip of the country. 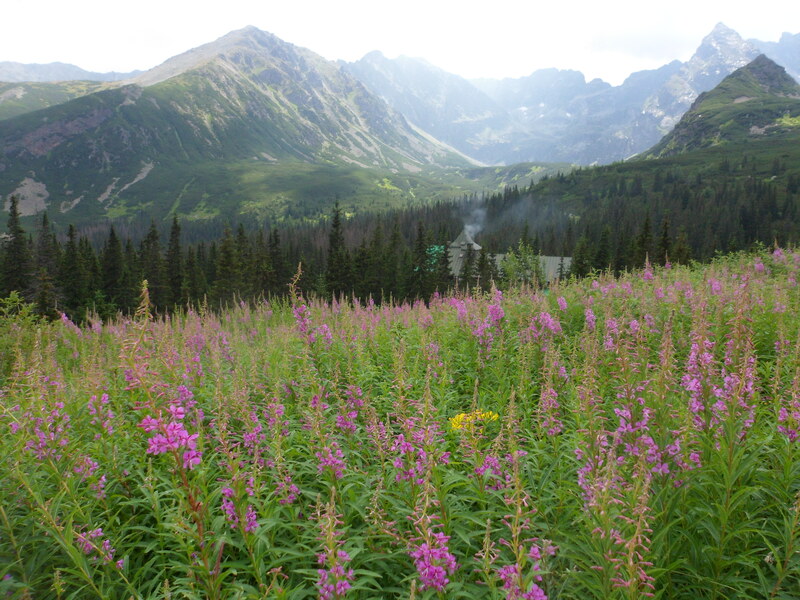 Think Aspen in Poland. 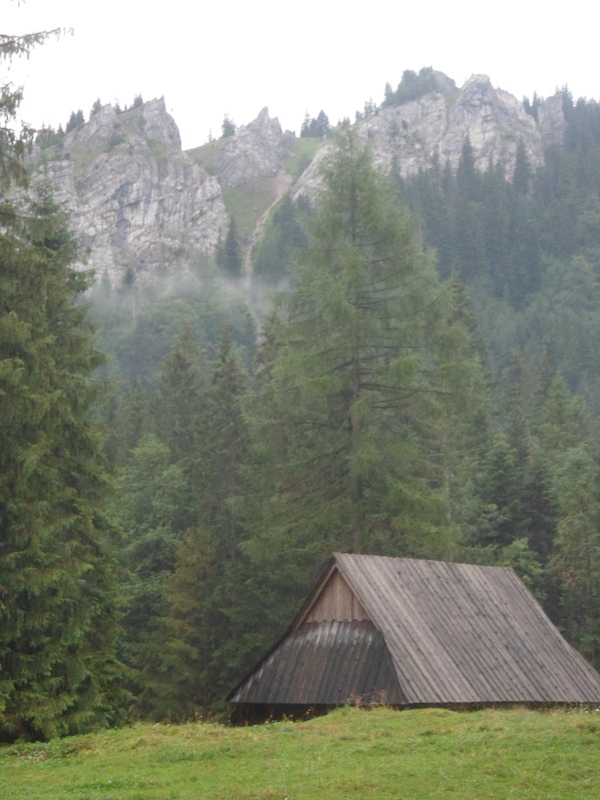 Another one of those “I’m in the Carpathian Mountains?” moments. In the summer it’s a great destination for hiking and breathing cool air; after yesterday’s high 90s, this mid-60s feels really nice. 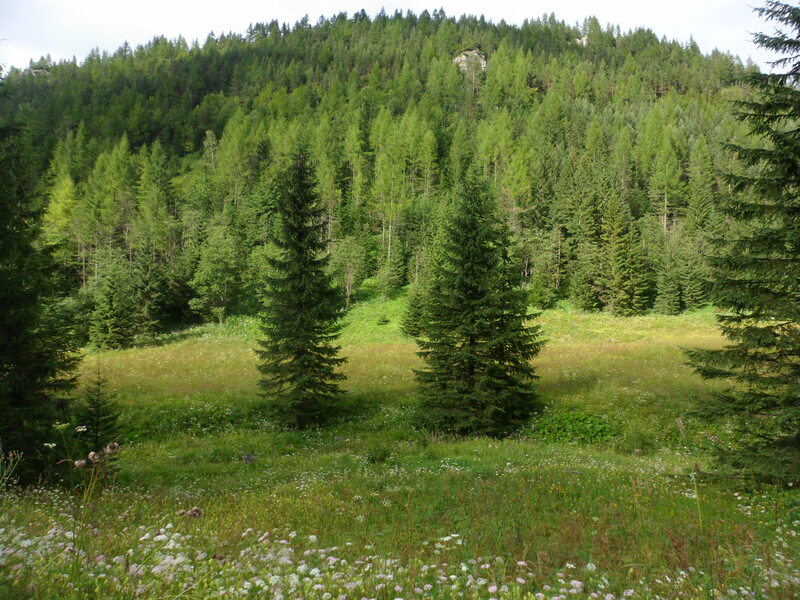 Tomorrow, weather permitting (today has been raining on and off, but tomorrow is supposed to be better), we’re going to hike up into the mountains. It could be fabulous. Meanwhile, great moments in food. We walked maybe 30 minutes to a highly rated restaurant on Trip Advisor, and it was totally worth it. Among other great items, there was an appetizer sent by the gods if you’re doing the low-carb thing: smoked, fried bacon with smoked, fried cheese. Oh my god. 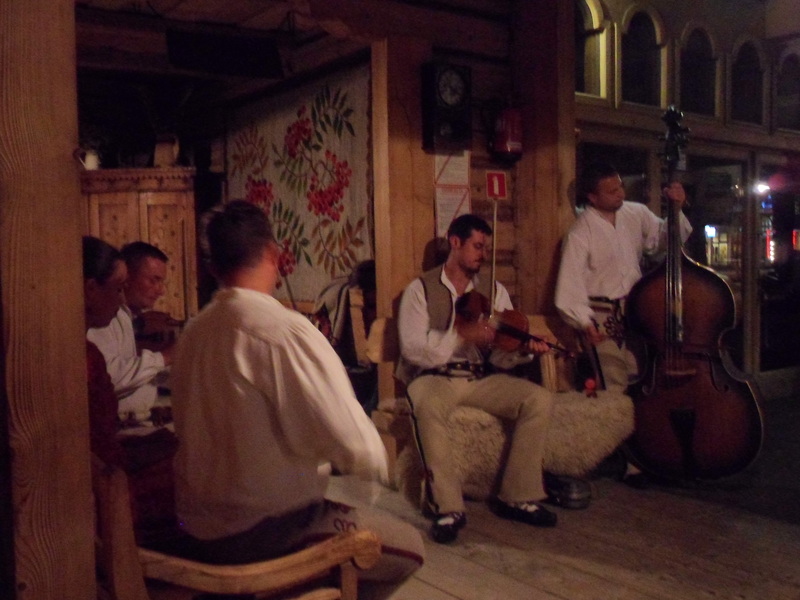 We’ve had live music with meals recently, too. 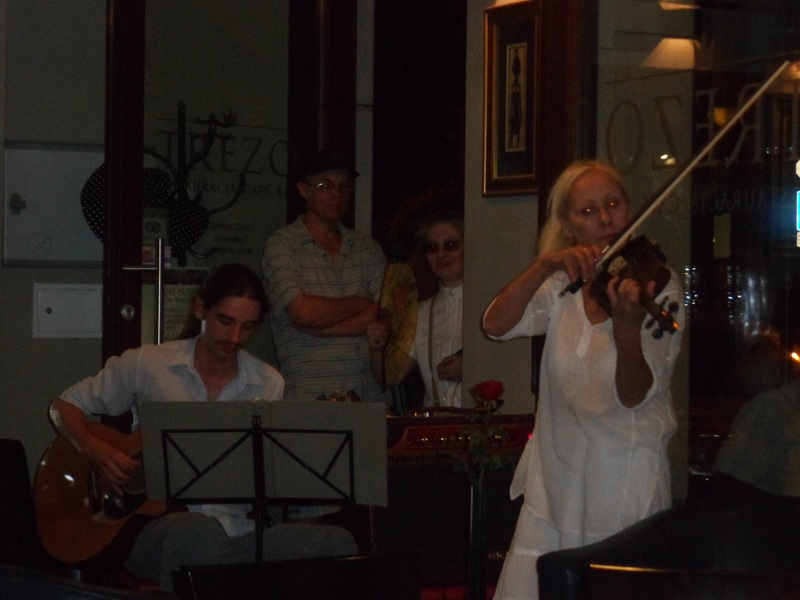 Intermittently tonight there was traditional Polish music played at loud volumes, and two nights ago there was a wonderful guitar-violin duo playing in our restaurant. 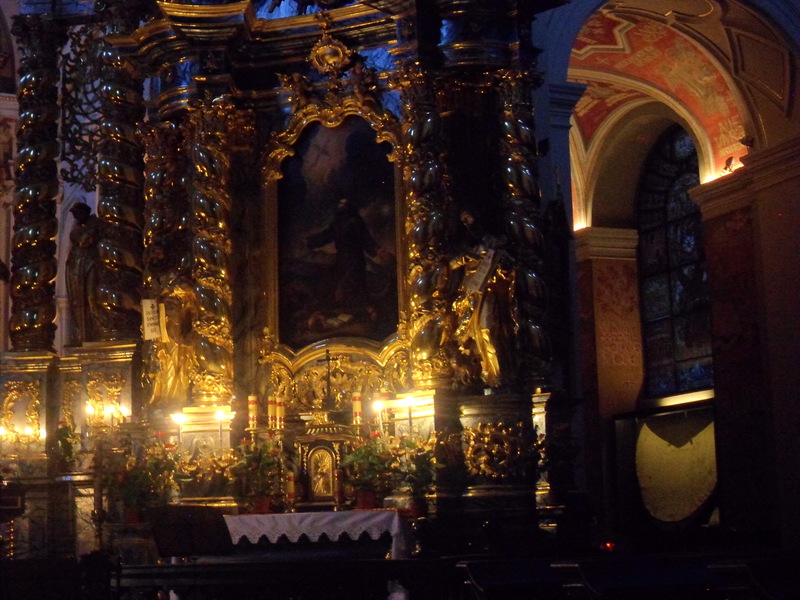 The night in between, last night, we went to a concert in a beautiful church in Krakow. Just an hour long, a little Vivaldi, Mozart, and of course (in Poland) Chopin. The orchestra consisted of five people, with a guitar soloist who was pretty impressive. And lest we forget great moments in cocktails. Last night we decided to try a martini at a nice looking bar. We’ve learned to be specific about what we want. It’s common in this neck of the woods to be very precise about volume – the steak is 250 grams, the shot of vodka is 40 grams. So the martini on the menu was listed as 40 grams of gin, 20 grams of dry vermouth. Well, that 2-1 ratio may be the classic recipe, but we’re more 4-1 types, so we ask for 80 grams of gin to 20 of vermouth. So far so good. I watch him pour, it’s very precise, and he then proceeds to start salting the rim of the martini glass. You gotta watch these people like hawks. Meanwhile, here are some of my favorite recent pictures. We’ll have more tomorrow from the mountains.